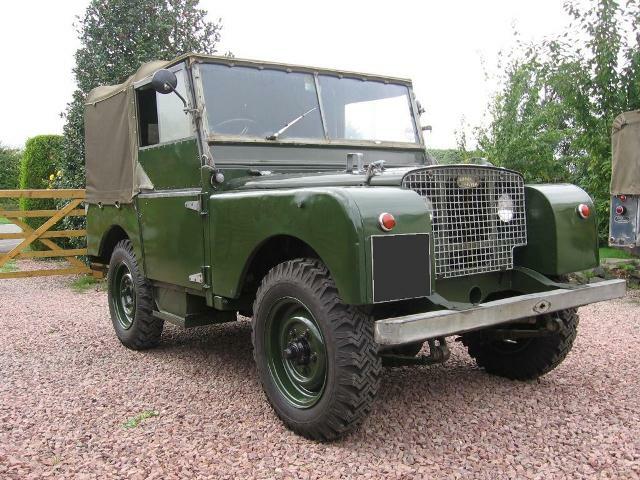 1949 Land Rover Series One 80"
This early 1949 Land Rover is a splendid little 80" with lots of character and very pleasant to drive. It is one of the first deep bronze green models with the freewheel transfer box, flat top hood sticks and bootlace hood. 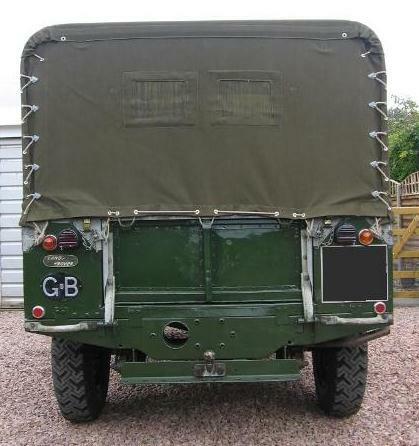 The chassis and bulkhead were in excellent condition and required little work. 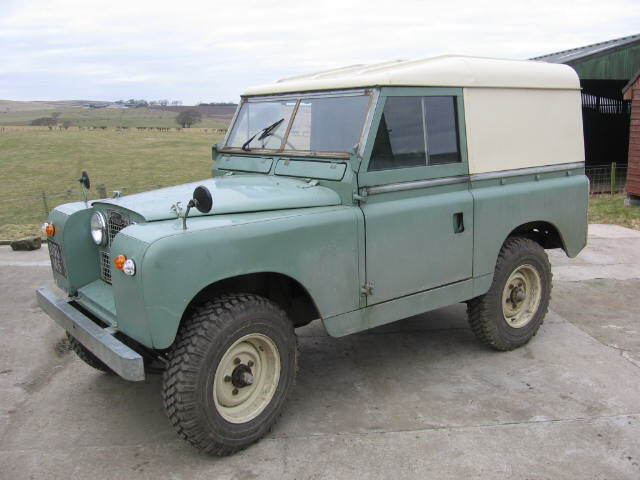 The Series One and early Series Two Land Rovers seem to have been constructed with better quality steel than the later models. 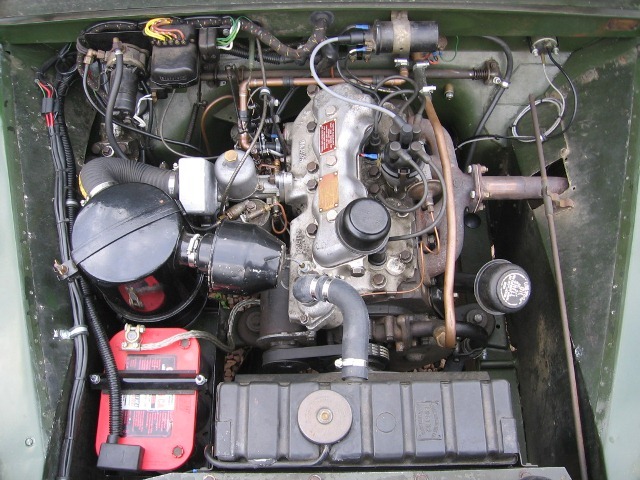 The engine is a late spreadbore 2 litre petrol fitted with an alloy cylinder head from a Rover 60 car. The engine was smoking a little when we bought the Land Rover but otherwise ran well, so we gave the engine a top end overhaul. 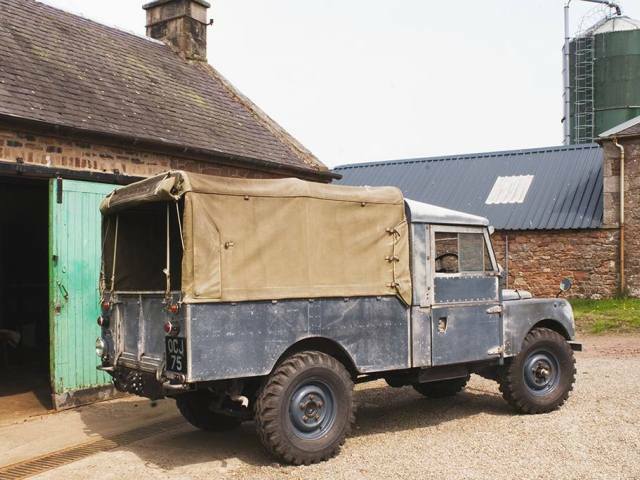 We also rebuilt the SU carburettor and fabricated an alloy inlet elbow to allow the original oil bath air filter to be fitted, which was connected to the carburettor using an air hose from a later 86"/88" Land Rover. The air filter mount required slight modification to get it to all fit and a small Optima battery was fitted. The transmission only required a small amount of work, mainly replacing weeping oil seals. The braking system was in good condition having had copper pipes fitted many years ago but required some new flexible hoses. A new Clayton heater was purchased and intalled with a genuine rheostat switch. We used a standard heater pipe to connect to the bottom hose pipe and fabricated a pipe to connect to the R60 clylinder head. 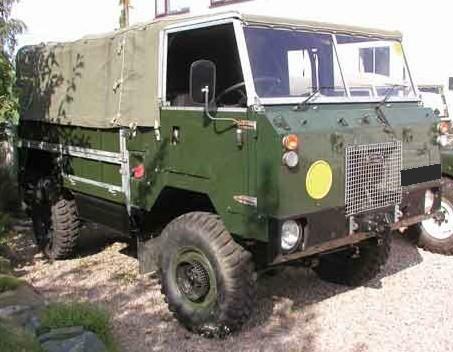 The wiring loom was tired and had seen many repairs over the years and so was replaced with a new one from Autosparks. We sourced a nice early combined capillary water temperature/oil pressure gauge, which was fitted in the classic 80 location of the unused steering column blanking plate. Not very easy to read by the driver but it gives the passenger some entertainment. 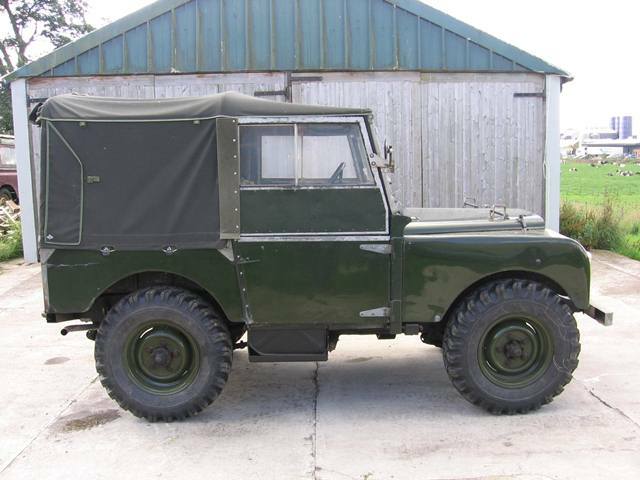 This Land Rover has a very nice two-spoke steering wheel, which is in excellent condition. 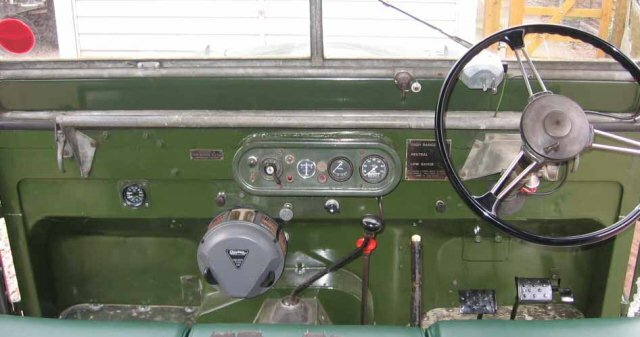 There appear to be a number of 1949 Land Rovers fitted with these steering wheels and they all seem to fare much better than the more usual four-spoke variety. 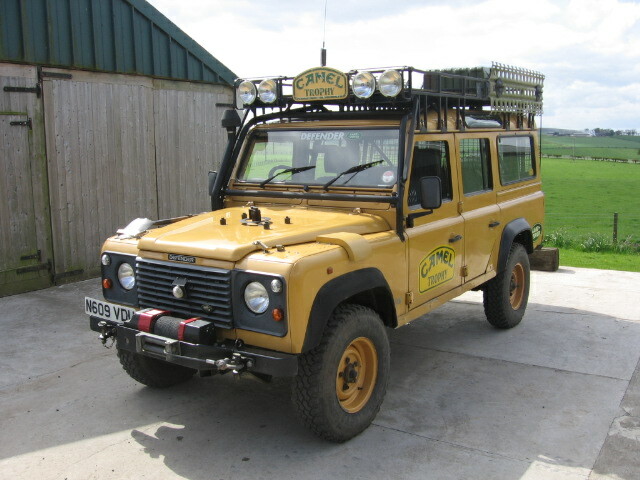 Finally we fitted a new bootlace hood, a set of new 6.50x16 tyres and it was off for its MoT, which it passed with flying colours. 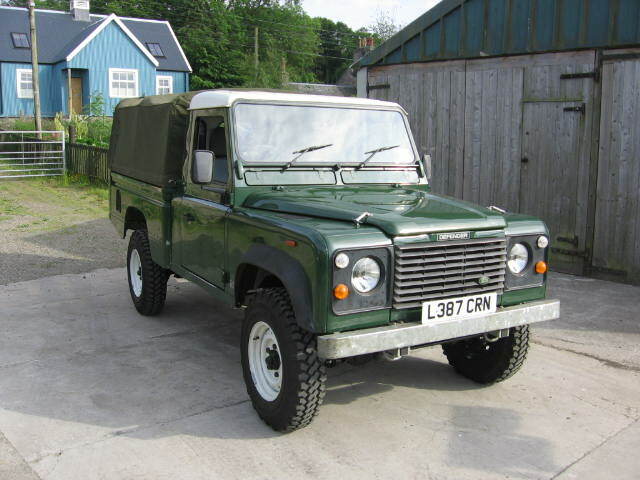 We ran the Land Rover for a few months and it was a delight to drive. The Rover 60 cylinder head and SU carburettor gave the engine some extra power with the added bonus of better hot starting and no carburettor icing. The only downside with the SU carburettor seems to be that it is less tolerant of sideslopes than the original Solex but this would only be noticable in extreme off-road situations and unlikely to be an issue in normal use.